The ‘daredevil’ ride (aka the flying aces) has finally opened in Ferrari World last week. It is the first of the 3 newest extreme rides (the other 2 are still being cooked) in the largest indoor theme park in the world. While I am not a fan of roller coasters because I have some sort of selective acrophobia, I always look forward to observing and gasping breaths through the adventure seekers’ own experiences. To this date, I can say that the rides in Six Flags Magic Mountain in the US is the most extreme for me. Right there and then and every where – those were all a testament that there are plenty of risk takers in the world, how liberating it was to be with carefree people, and that I may agree with those who dubbed it as the happiest place on Earth instead of any of the Disneyland. The Flying Aces does not seem that scary from this video that I took. But believe me, the first 10 seconds of the ride may leave you speechless (or turn you to be a scream queen! ); then, the succeeding loops seemed to be ice breakers. But with a micro view, it may now qualify as a provider of the same electrifying level of thrill that some of the rides in Six Flags are capable of. 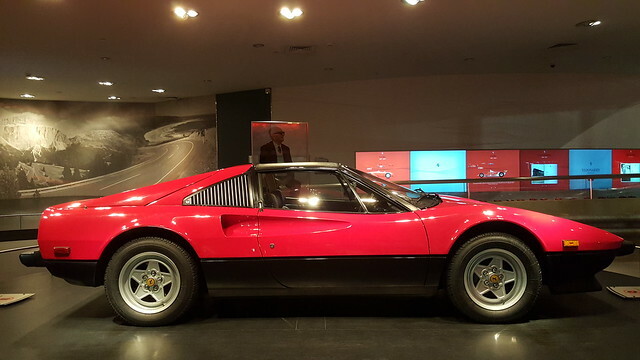 Is Ferrari World worth a second look or a return visit? Yes and it depends. I would suggest visiting it after at least over a year or so. There is always something new. Further, you ma want to strategize to time your visit when you have guests with you. If you love cars and rides (ranges from a family fun thrill to fast fun/extreme rides), live shows, shopping, indoor theme park, etc., it is value for money. If you are new to the UAE, regardless if you like the reasons I mentioned, it is worth the visit because it has a unique concept. In case you are wondering why Abu Dhabi thought of having it, UAE Nationals loveeee cars luxury cars. Another new attraction (with a breathtaking additional fee) is the optional driving experience in Yas Island. It costs approximately USD 272 for a few minutes chance to drive a Ferrari California (with 2 passengers if you wish so). In order to drive, one would need an international driver’s license (that includes those issued from the UAE, UK, US, and few others; apparently, for Southeast Asian license holders, those only issued in Singapore will be accepted. I am just glad that I have the license issued from the UAE.). Let us see if we will finally give in to trying it next time. I am hopeful that they would decrease the fee eventually. Red is a live show about speed and thrill. In each visit, we do not miss it because there are different performers (maybe per season) and concept. This time, the performers are mainly young and more gorgeous (simply said as more pleasing to the eyes, who are equally competent anyway). My most favorite show/ride though before Red is Viaggio in Italia, i.e. you get elevated quite high which is adequate to make you feel you are in a helicopter ride and doing a tour of north to south of Italy (well, I have never been to Italy, hence, the fondness). Among the main changes this year are the interiors and widened dining options. 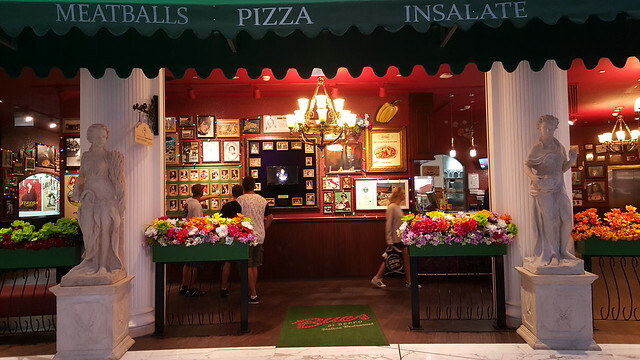 As you walk, it is like you are in Italy. Very convenient and inviting for photo taking. Same old. New old. 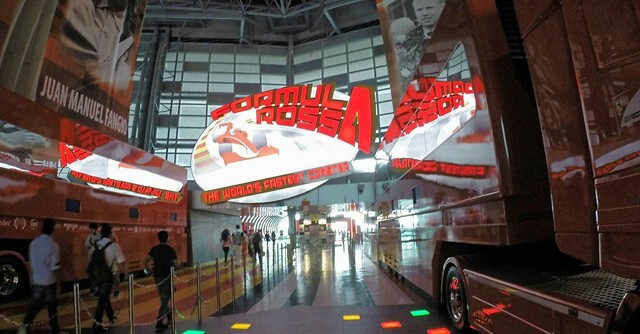 Formula Rossa remains as the most popular ride until now. It is good that they have now installed screens/monitors near the viewing deck that allow the companions to check if their family member and/or friend is next in line for the ride. 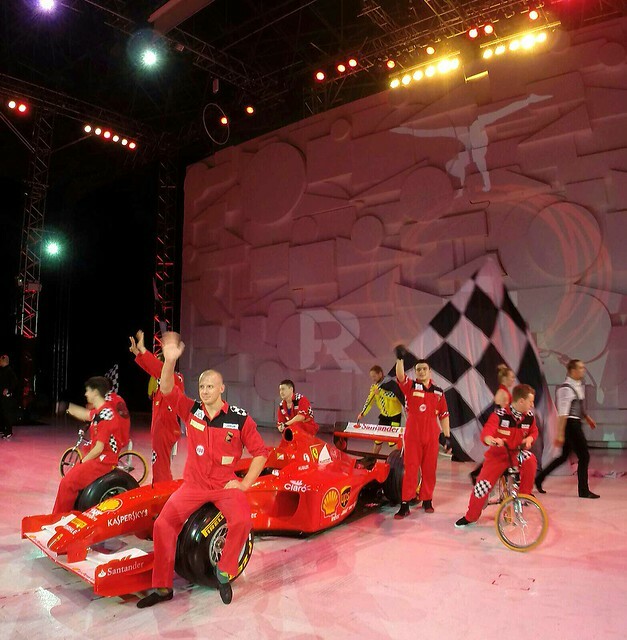 Entertainer Abu Dhabi and Dubai includes Ferrari World as one of the participating merchants. There are 3 categories of tickets: bronze, silver, gold (i.e. most expensive and gives you express pass). I think that gold ticket will only render an extra mile if you are visiting during the Grand Prix season (commonly in late October or November), summer break from school (July to August) and December. Bronze ticket will suffice and queues are manageable when we visited on a Saturday last weekend. Buying tickets online is cheaper. If you are planning to visit Yas Waterworld (a really nice waterpark), it would be wise to avail of the 2-Park Pass. If you have limited time during your visit and would have to watch only 1 or 2 shows, prioritize ‘Red’. Viva Ferrari is skippable. Buying your photos are really tempting, but photos are expensive. Try to strategize on how to have your photos taken nicely during a ride. While there are more dining options inside the park, keep in mind that it is connected to Yas Mall where there are other (more) reasonable and appetizing options. If you are not in hurry, you might want to wait for the other 2 extreme rides to open before visiting/revisiting. By then, your all rides access fee would have more value for money. Do not wear red during your visit. Do the photo taking preferably after partaking in the major rides. It gives you an extra glow. Just an observation. Even as a child I have always been scared to ride the rollercoasters, what more these hyped up rides. I remember one time I was looking up at a ferris wheel and promised my 9 year old self that by the time I’m in my 20s I would have enough courage to go up and ride the ferris wheel. I have not been in ferris wheel yet!!!! I was in high school when I had my first ferris wheel ride. 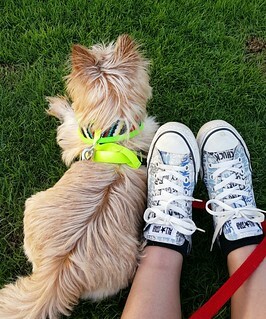 Took it with one of my closest friends during a town fiesta (that small circus type that goes from one town fiesta to the other), we were both cowards so we were screaming the whole time. Hahaha. But it was fun!